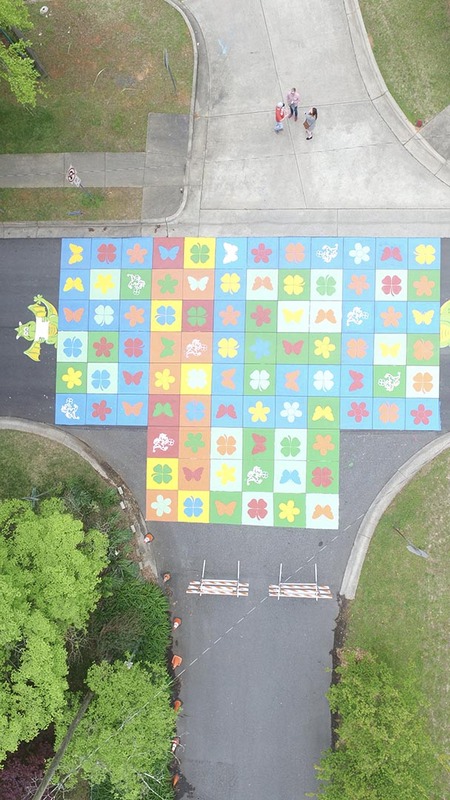 Over the course of the 3-day project, we had 80 5th graders and more than 30 community volunteers who contributed 100 hours of service to paint 90 squares covering 2,100 square ft at the intersection of Anne St. and Cheryl St. right by Shamrock Gardens Elementary School. We had neighbors meeting neighbors who didn’t know each other before the project. We had students getting to create public art project like nothing they had done before. 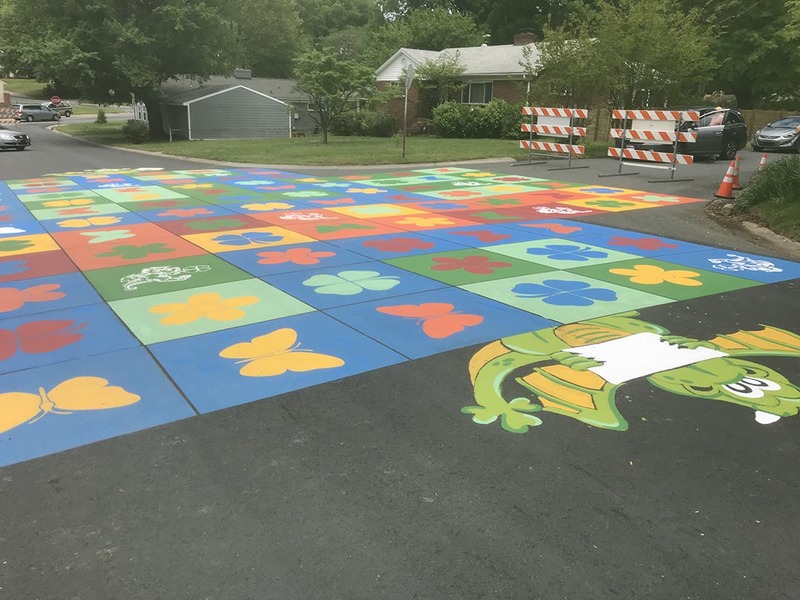 This project effectively created a platform for our neighborhood and school to bond in ways they simply had not before. This mural is located on Anne Street at the schools entrance. 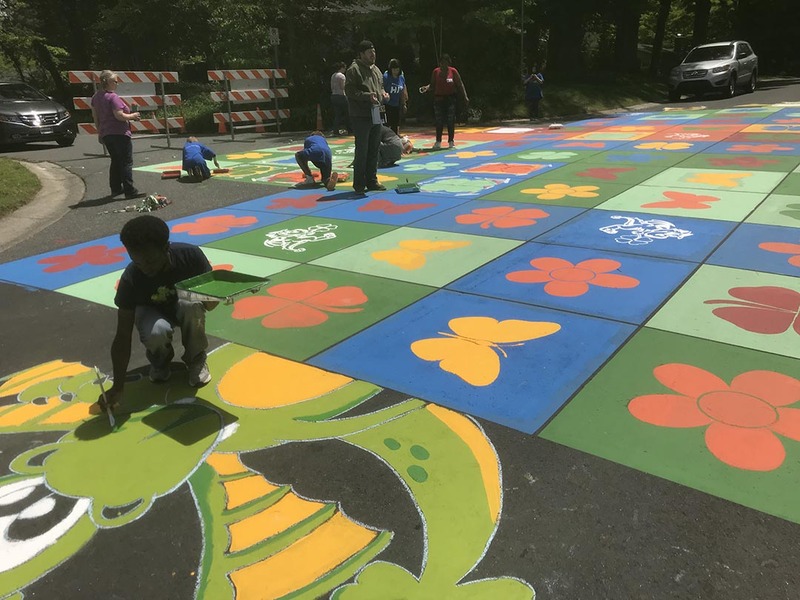 The County Club Heights neighborhood planned the mural to slow traffic and create a community building opportunity. 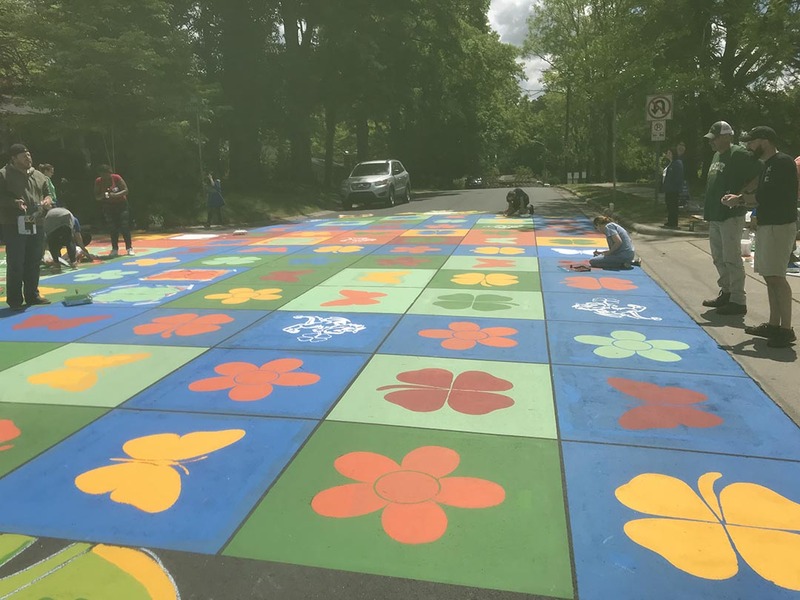 The mural was designed by the school’s art teacher Jamil Steele and painted in collaboration with 55 5th grade students who each painted a square. 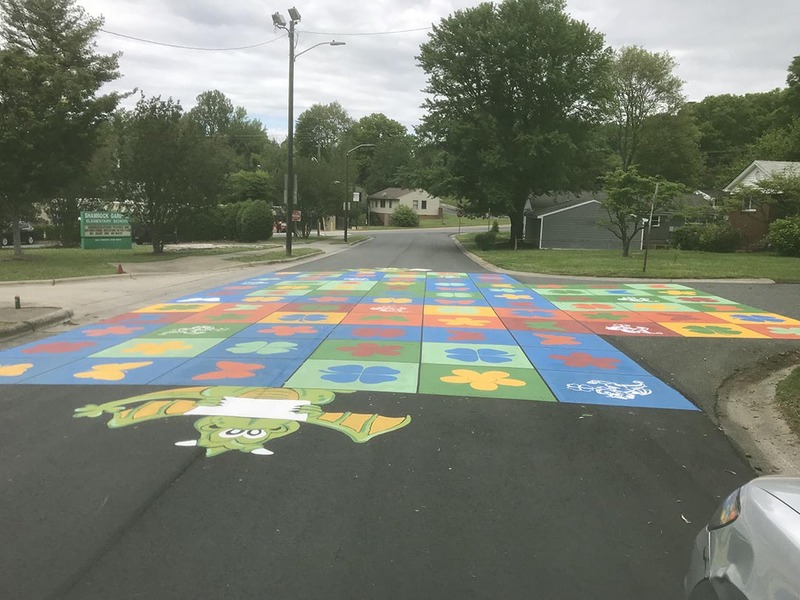 Community residents also did their part learning together to implement the grid and painting. Our engineers have documented an average 2 mph decrease in traffic speeds along this stretch.